Creatine was introduced during the 1992 Olympic Games in Barcelona, Spain. It was advertised as the first supplement that could immediately enhance strength. One year later, EAS produced the first commercially available Creatine supplement in the market in its monohydrate form. Creatine is composed of 3 amino acids: Arginine, Methionine and Glycine. Its primary function is to support Adenine Tri-Phosphate (ATP) which is stored muscle energy. ATP helps you accommodate resistance but it can only sustain energy for 10 seconds. 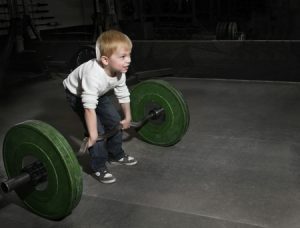 Creatine can help extend your effort once ATP stores run out. This is why people who take Creatine claim it helps them lift heavier weight or add 1 more rep.
Creatine basically increases the contractile force of your muscles. Stronger contraction means more muscle fibres are recruited. Today Creatine remains one of the most popular and sought after supplements in the market. Its popularity has spawned different types of Creatine; each one promoting its unique advantage over the other. But is there truly an advantage of one type over the other? Given all of these types of Creatine, which one should you take? The original Creatine recommended a 5-day loading phase in order to fill out muscle stores. You also had to ingest this type of Creatine with a simple carbohydrate for faster absorption. Among common side effects reported by users were bloating and cramping. Unlike monohydrate, Creatine Ethyl Esther does not require any simple carbohydrate or a loading period. There have also been no reported side effects. It is recommended that you take 2-3 grams of Creatine Ethyl Esther twice a day for best results. This type is made by combining 3 molecules of Creatine with malic acid, a substance used for immediate energy production. Tri-Creatine Malate is water-soluble which addresses the bloating effects of Creatine monohydrate. Studies have also shown Tri-Creatine Malate as being highly efficient in prolonging the ATP cycle. One of the most innovative forms of Creatine in the market is also one of the most expensive varieties. Buffered Creatine claims its product does not convert to creatinine which is a waste by-product. There have been no reported side effects from users of buffered Creatine. The recommended dosage is 1-2 grams in the morning and another 1-2 grams before training. Micronized Creatine is just Creatine monohydrate manufactured into smaller particles for faster absorption. 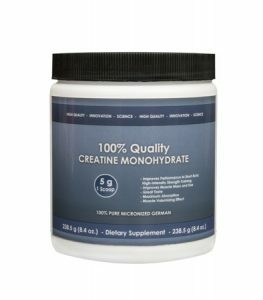 Similar to monohydrate, you still have to take micronized Creatine with a simple carbohydrate. 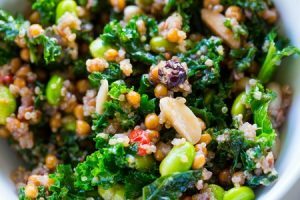 It also involves a 5-day loading phase where you take a heaping teaspoon 406 times a day plus a maintenance phase of 1-2 teaspoons for the next 21 days. 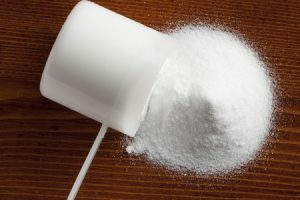 This type of Creatine was created to improve the rate of absorption but has grown less in popularity and relevance as it has proven to be highly unstable. Conjugated Creatine is the most popular type of Creatine and certainly the most expensive variation in the market today. Conjugated requires the least amount of Creatine per serving; only ¼ teaspoon! Conjugated Creatine claims to have the fastest absorption rate and even benefits those who are traditional non-responders. There are no reported side effects to using conjugated Creatine. So which type of Creatine should you take? If you experienced good results with Creatine monohydrate and if you have the budget, you should try Creatine Ethyl Esther, Tri-Creatine Malate, Buffered Creatine or Conjugated Creatine. These types do not seem to cause bloating, stomach discomfort or cramping and are more quickly absorbed compared to monohydrate. Speed in absorption is essential to minimise conversion to creatinine. In terms of value for money, Creatine Ethyl Esther might be your best option. It is the least expensive of the new varieties and has received many good reviews from regular supplement users. Regardless of the type you choose, use Creatine judiciously. Follow the instructions carefully and cycle off it once you have finished your container.